UV Coating Machines have come a long way from 2008-2009. The manufacturers have made a lot of improvements to their machines. Maintenance is easier than previous models. Using either gloss or Matte UV Coating fluid is easier. Even UV Coating fluid can have scents added to minimize the small the IR lamp gives off. Tec Lighting is one of those manufacturers that has made improvements to their machines. They still manufacture their entry level XtraCoat Mini machine. 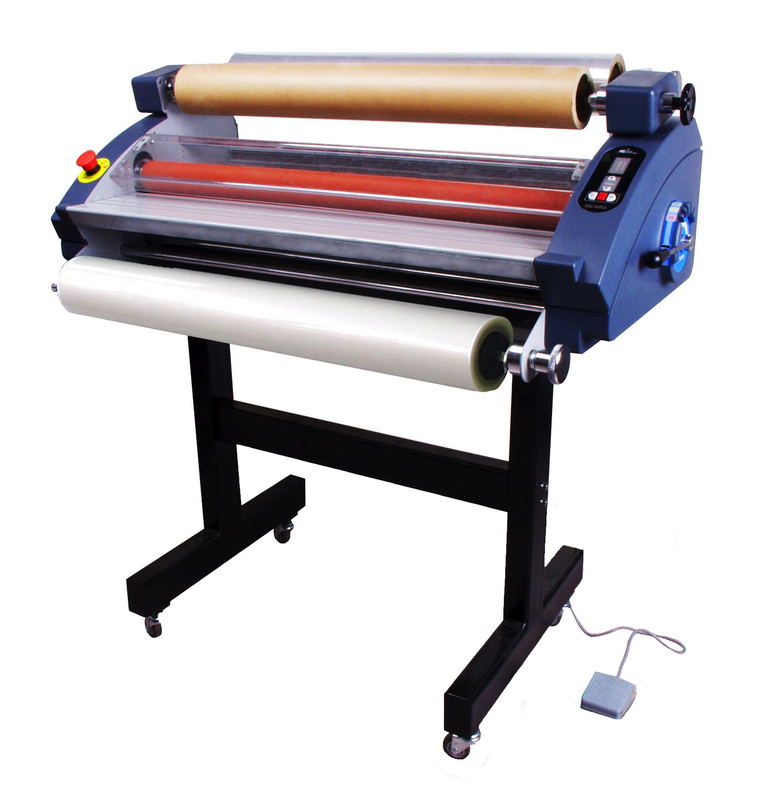 If you are seriously considering a UV Coating Machine, their best one to purchase is the TruCoat 16” UV Coating Machine. The TruCoat 16” can be handfed or come with a feeder system. You can store both Gloss UV Coating fluid and Matte and switch between the two with relative ease. If you have had to change out one of the rollers, it is a simple process of opening up the side door and pulling the old one out and only installing the new one. The primary reason for UV Coating is it only costs 1/2 penny per sqr/ft to operate. 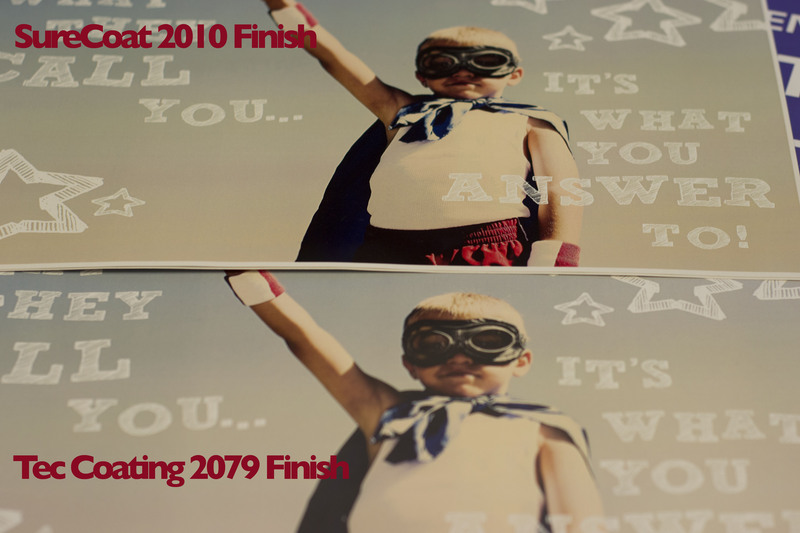 Not only does it add high-quality finishing, but at a lower price per item than lamination. The Tec Lighting TruCoat 18”UV Coating Machine features a three roll coating system capable of UV and aqueous coating. It runs smoothly with a 1/2 HP DC drive motor, with variable speeds that reach up to 100 feet per minute. The AGFA (SS) doctor blade ensures that your sheets will come out clean and waste no materials. The AGFA (SS) doctor blade is continuously cleaning the impression roll while the stainless steel drip pan and pump recirculate your coating. It has a Teflon coated fiberglass mesh conveyor belt that can also set to variable speeds. The TruCoat 16” is equipped with essential safety features to prevent injuries which make it easy for anyone to use. The Tec Lighting TruCoat is built on a sturdy welded steel frame on caster wheels, has an exterior e-stop for operator safety, emergency lamp shut off inter-locks and a fully guarded roller mechanism with safety inter-lock. Changing a bulb is a breeze with a quick lamp replacement housing assembly for the built-in 3 lamp curing system. 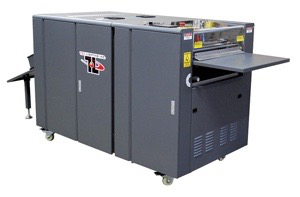 The Tec Lighting TruCoat 16″ Offline UV Coating Machine starts at $14,900 at Lloyd’s and comes with a 1-year warranty on all parts and labor except UV arc lamp. The UV arc lamp carries a separate 1,000 hour warranty & 500 hour warranty on manufacturer’s defects for roller assembly only. 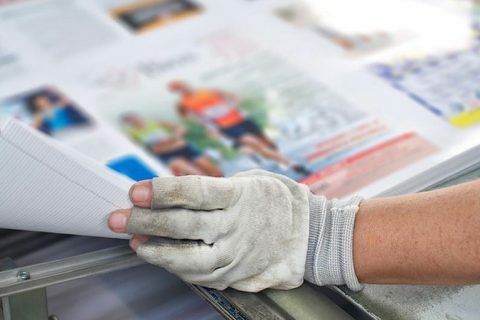 The Tec Lighting TruCoat 16” UV Coating Machine is the perfect start for any small print shop that wants to offer additional print finishing services to clients.